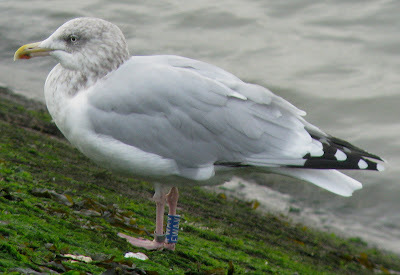 Colourringed gulls and wildlife in Belgium: Caspian from Poland! Another update from the past two weeks. 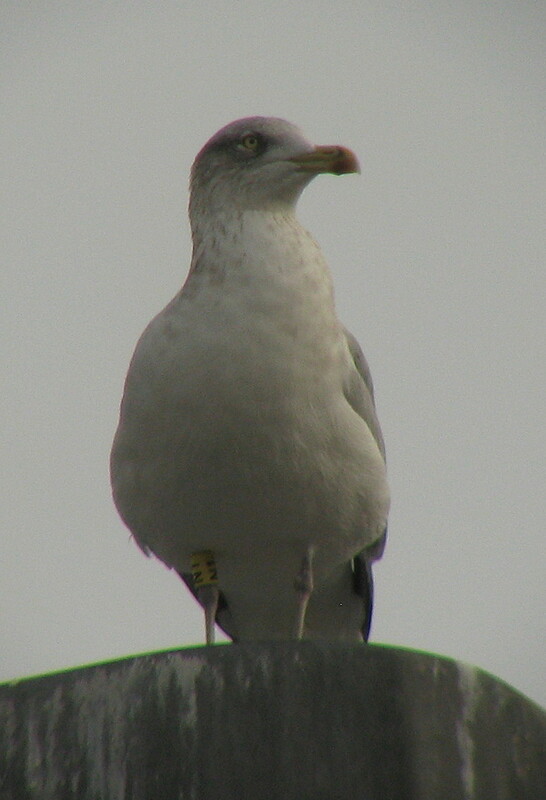 Absolute highlight was a c-ringed Caspian gull from Poland (waiting for details). Other nice birds included several Greater black-backed gulls from Norway, and a Dutch metal-ringed bird. 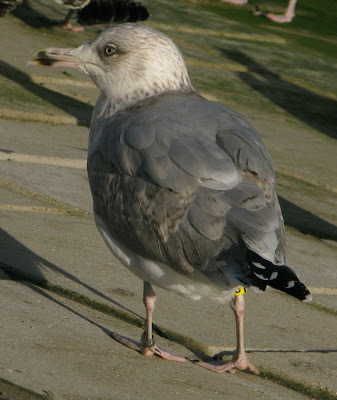 Finally, in Gent, I found another (unringed) Caspian gull, and saw LBBG white H.K (RJ Buijs) again (one of the few remaining LBBG's here, most of them seem to have moved south). 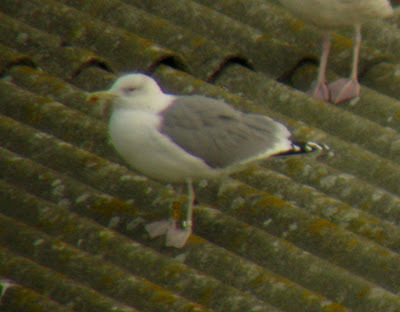 Also, Herring yellow N1 (RJ Buijs) is back for the winter, on almost exactly the same date as last year. Caspian gull yellow PDBS (Polish bird, details awaited). 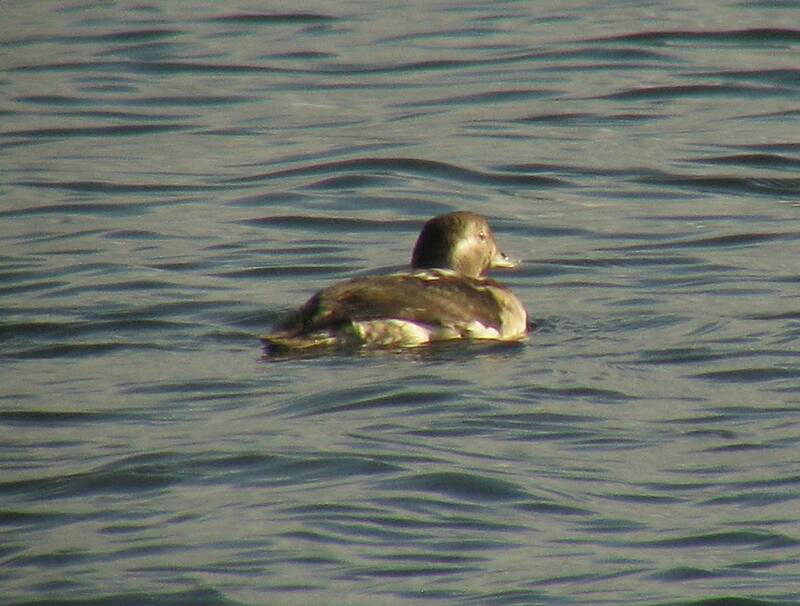 Crappy picture, but a great bird! My best ring of this autumn so far! 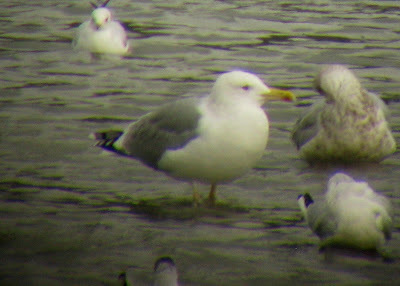 Caspian gull, Leeuwenhof Gent. On both birds, the long legs (mainly tibia), slender bill and the little dark eye can be seen. On the second one some of the neck-streaking is just visible. Easy birds if they come like this! 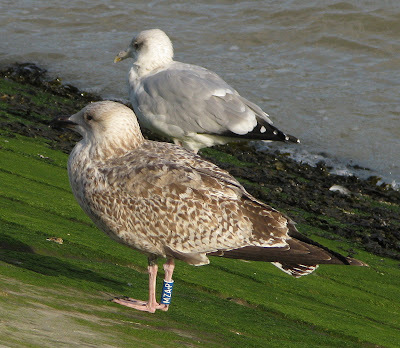 Herring yellow 81 (RJ Buijs), Niewupoort. Herring yellow N1 (RJ Buijs), Gent. Back for the winter, now at least for the 3rd time! Herring blue MZA.P (E Stienen), Nieuwpoort. Herring blue MH.AC (E Stienen), Oostende. 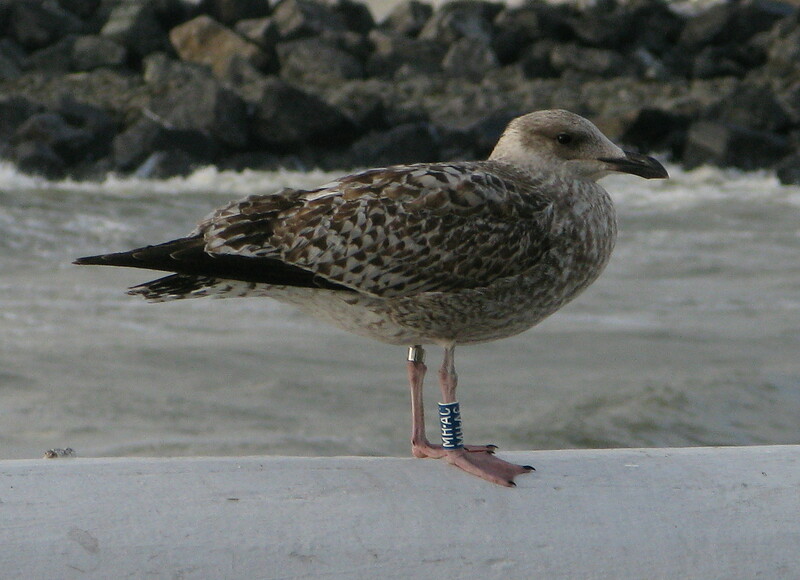 Herring blue FWA.V (E Stienen), Nieuwpoort. View on the beach of Blankenberge (without gulls). 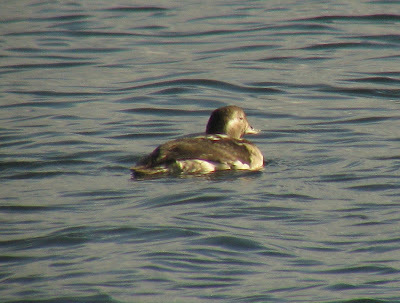 Long-tailed duck, Oostende. I went to see this bird, only a few are seen in Belgium every year, I just love these birds. Nice to see a picture of G[Y.ACL]. 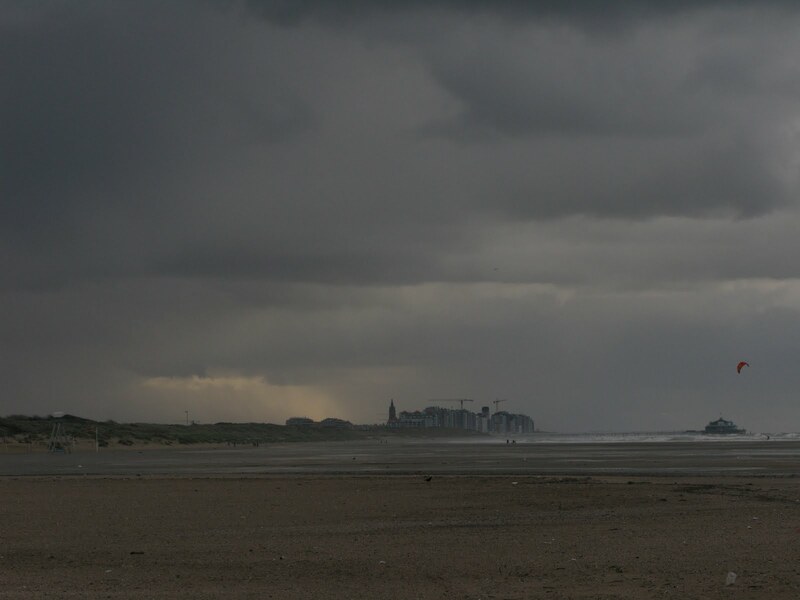 I saw it twice at IJmuiden, the Netherlands. PDBS "larus cachinnans" était sur la plage du Cap gris nez,Pas-de-Calais , Fr ce 17.02.2011. Peux tu m'envoyer le lieu (et coordonnées) où tu l'as vu.